Have you ever wondered: * What the Earth looks like from space? * How many continents there are? * Where Mount Everest is? Find out in your very first atlas! 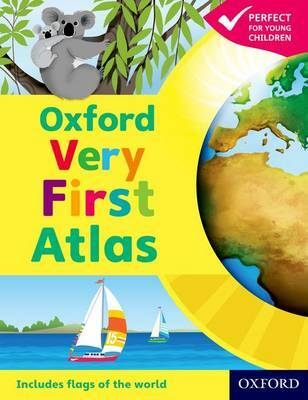 The Oxford Very First Atlas is a stimulating first atlas for young children. It is completely up-to-date with accurate, easy-to-read and colourful mapping, presented in an accessible visual layout based on research into how young children use maps. It introduces young learners to maps and develops early atlas skills, encouraging them to talk about local and distant places and to find key places on maps. It includes: * An introduction to the globe and places around the world * Stunning images of the Earth from space * Clear and colourful maps of the world and all the continents. The Oxford Very First Atlas is also accompanied by an Activity Book for independent work to develop map skills and an e-Atlas CD-ROM providing an interactive version of the atlas for whole-class display.